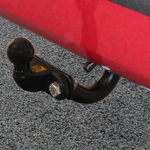 The best option when purchasing a tow bar is to choose a detachable towbar. This helps to maintain the original look of the vehicle when not used as it can easily be stored away out of sight. 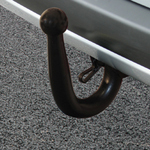 The Swan Neck tow bar is where the tow ball and the neck are all one piece of the towbar. This type of tow bar is fast becoming more popular in the U.K. due to the appearance of the bar being more aesthetically pleasing. 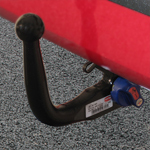 The most commonly used type of tow bar in the United Kingdom is the Flange towbar, where the tow ball is bolted to the tow bar with two 24mm bolts. This is the most versatile design of towbar because it can be used with tow ball mounted accessories including; Cycle carriers, bumper protectors & all types of stabilisers. The flange type of tow bar is non-removable. A vehicle is an investment and from time to time, this investment can be enhanced with the addition of a functional device. One such item is a tow bar. At Pro-Fit Towbars Limited, we are happy to provide numerous types of towbars which are intended to suit nearly every make and model of vehicle available. Such a flexible approach is due largely to the fact that our trained technicians boast years of experience within this unique industry. Thus, all of our customers can be assured that their tow bar is of the highest quality and will suit their individual needs. We appreciate that time is often a commodity in this day and age. So, we also offer a mobile service that will arrive at one’s location. Not only will this streamline the entire fitting process, but the cost savings which are enjoyed can then be passed on directly to the customer. So, both time and money can be saved when employing such a flexible amenity. Although in-house installations are always an option, Pro-Fit Towbars is proud to offer this state-of-the-art service. There are many instances when a tow bar is required on rather short notice. Perhaps a customer needs to move a trailer within a limited time frame. Or, a sudden holiday may dictate the need for a family vacation and a tow bar is required to transport items between two points. As our services are available throughout Bristol and the surrounding areas, the vehicle owner can rest assured that his or her needs will be met in an expedient and timely fashion. Arising from a belief that there is no task too big or too small that we cannot handle, even the most challenging of fitting jobs can be completed quickly ans safely. Once we have determined the type approval of the tow bar needed, it can be put in place in no time at all. These are some of the primary reasons why when one enters an online search term such as “towbar fitting Bristol”, Pro-Fit Towbars will be seen at the top of the list. Providing bespoke and professional services to a growing number of clients, we are happy to address any requirement. 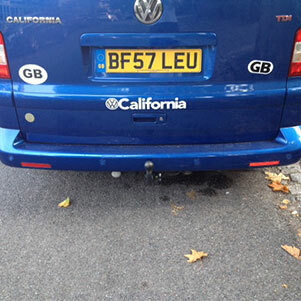 For those who ask for nothing less than the best tow bar fitting services, we will certainly not disappoint.